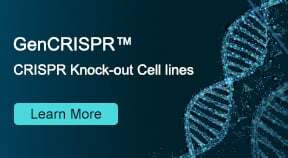 Why shall I choose GenScript to produce custom protein expression? How much experience does GenScript have for custom protein services? How many protein expression systems does GenScript offer? How can I choose an expression system for my protein? What are the capacities of GenScript’s protein expression platforms? What starting materials do I have to provide? Does codon optimization really matter? How much protein can your team usually obtain from 1L pilot project in different expression systems? 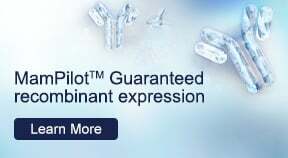 Why GenScript recommend 1L pilot scale protein expression before scale up? Does protein’s Molecular Weight (MW) matter for protein production? Why do we ask whether the native form of the protein is a membrane protein, cytosolic protein, enzyme or protease or IgG Ab? For antibody generation, is there special requirements for the antigen protein production? What is the concentration of protein you usually gets from E coli expression system? What if the protein can't be expressed and purified in E. coli system? Does GenScript refold protein produced in yeast and insect system? What is the specificity of yeast expression system comparing with other protein expression system? If the client provides the Baculovirus (BV), how much virus does GenScript need for protein production? What is "Crystallographic grade" protein? I want to express a heterodimer constitutes with two subunits. How would you suggest, in one construct or in two constructs? In E. coli protein expression system, will you purify the protein from the soluble fraction or insoluble fraction of the cell lysate? Can you refold insoluble protein? What purification methods does GenScript have in house? Can GenScript perform antibody affinity purification? What tags does GenScript recommend for protein expression and purification? Can GenScript remove the tag after purification? If so, how much it will cost and how long it will take? What protease cleavage site does GenScript recommend to introduce between the tag and the target protein? Where shall we introduce the tag and the protease cleavage site (C- or N-terminal)? After N-terminal tag removal for the recombinant protein, what cleavage site will not leave any residue? How do GenScript scientists determine the protein purity and quantity? Do you regularly check endotoxin level for custom proteins? What QC data do you provide for protein expression? What QC data do you provide for Baculovirus Preparation Service (SC1261)? What is the best temperature for shipping, long term storage of Baculovirus (BV)? Is there any difference in the storage buffer for delivery and long term storage? I may want to order large scale protein production later, but not now. How long will GenScript keep the expression vector for me? What is your default buffer for protein delivery? Does GenScript ship the produced protein in lyophilized or liquid form? Usually, under what condition does GenScript recommend for protein storage? (a) Your custom requests are handled by experienced scientists – we have successfully delivered >3,500 custom proteins. (b) High success rate – our E. coli protein expression system has 93% success rate; the success rates of the other expression systems are also much higher than the industry's average. (c) High capacity – up to 2,000L bacterial/yeast protein production, 100L insect/mammalian protein production. (d) GenScript is the 1st one to launch the Guaranteed, or it's Free Package (bacterial system) in the industry. (e) GenScript developed sophisticated operational platforms with advanced technologies (e.g. OptimumGene™, BacPower™, BacuVance™, and CrystalPro™) to solve your protein puzzles. A: We started providing custom protein service since 2003. Till the end of 2011, more than 3,500 batches of custom proteins were successfully produced and delivered. A: GenScript provides custom protein services in E. coli, yeast, insect and mammalian expression systems. A: It depends on the source (e.g. bacteria or animal) of your protein and the application of the purified protein. If post-translational modification is not required for the protein, E. coli protein expression system is recommended for its low cost and high success rate; otherwise, yeast, insect cell, or mammalian cell expression system will be recommended based on your budget and specific requirements. Please quote with our PhD level customer service representative to find out a proper expression system for your target protein. What are the capacities of GenScript's protein expression platforms? A: For Bacteria/Yeast System: (a) Provides large quantities of protein, up to grams; (b) Yeast culture up to 2,000 L for large-scale fermentation; (c) Provides homogeneous recombinant proteins, over 98% purity. For Baculovirus-Insect Cell System: (a) Provides high titer recombinant baculovirus stock carrying the gene(s) of interest, up to 10^9 pfu/ml; (b) Provides homogeneous recombinant proteins, over 98% purity; (c) Provides large-scale protein production, up to hundreds of milligrams (or 100 liter culture). For Mammalian Cell System: (a) Provides homogeneous recombinant proteins, over 98% purity; (b) Provides large-scale protein production, up to hundreds of milligrams (or 100 liter culture); (c) Provides stable cell lines. A: All we need to start with is the sequence information of your target protein/gene. We can start with gene synthesis with codon optimized for protein expression, and deliver you the final protein product. But if you would like us to start with your plasmid/virus, you are welcome to send them to us. A: Codon optimization can greatly increase the level of protein expression. GenScript OptimumGene™ is the most cited codon optimization technology. Thousands of cases have proven the effectiveness of codon optimization at GenScript. (a) In bacteria system, the average is 1-5 mg/L. Our highest record is 200 mg/L. (b) In insect cell system, the average is 1-3mg/L with purity >70%. (c) In yeast system, the average is 0.1-1mg/L. Our highest record is 500mg/L. (d) In mammalian system, the average is 1-5mg/L (regular recombinant proteins) and 10-20mg/L (antibody). Our highest record (for antibody) is 300 mg/Liter. A: By optimizing the expression conditions in 1 liter pilot scale protein production, we can accurately estimate the amount of culture and purification requirement for your custom protein so that it may save your time and budget. Does protein's Molecular Weight (MW) matter for protein production? A: GenScript protein services can express proteins of MW 10-250 kD (E. coli system: 150 kD; other systems: 250 kD). It becomes more and more difficult to produce proteins with bigger sizes, which tend to degrade and are hard to express. A: Unlike cytosolic proteins, most membrane-associated proteins are difficult to express and are usually insoluble in common buffer. Therefore, membrane proteins are exclusive from the Guaranteed/Advanced Package (SC1253). For enzyme/protease, we need to keep their activity. Usually the purification is performed at low temperature, and some protect reagent will be added. 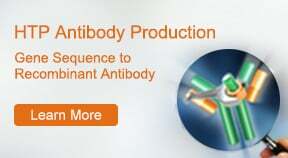 For antibody generation, are there special requirements for the production of antigen protein? A: The antigen (protein) should be soluble in a PBS or a buffer without organic solvents. Small tags (such as 6xHis, HA, FLAG, V5, c-myc) are preferred, GST is usually ok for protein antigens. For mAb reagent development, protein antigen shall be >2mg and >50% purity (for diagnostic or functional mAb development, higher purity is preferred, 85-90%); for pAb reagent development, protein antigen shall be >3mg and >85% purity (additional 5mg is needed for purified pAb development). A: We usually got 0.1 - 3 mg/ml concentration (we can guarantee > 0.1mg/ml). We can concentrate the protein upon customers' special request (without additional fee for most cases). But highly concentrated protein tends to precipitate. A: There are a few things GenScript scientists will do to solve the problem: (1) Codon optimization is recommended if it has not been; (2) remove the transmembrane region and signal peptide region; (3) try to express truncated domains of the protein; (4) we can also try different tags to increase the expression level; (5) we may recommend customer to try different expression systems (e.g. insect cell system for certain proteins). For the Guaranteed/Advanced Package (SC1253), we'll not charge anything but the gene synthesis fee. For the Gene-to-Protein package (SC1484), we will only charge a setup fee. For other protein service packages, fees will be charged for performed experiments. In all cases, expression evaluation report will be delivered. A: In most cases, we do not perform refolding with protein produced in yeast and insect cell systems. In other words, proteins expressed in yeast and insect systems are usually soluble. A: (a) Yeast are genetically well characterized and are known to perform certain degrees of post-translational modifications (e.g. glycosylation); (b) Fast growth in defined medium; (c) Easy and less expensive to work with compared to insect or mammalian cells; (d) Can be easily adapted to fermentation (notably, GenScript can perform up to 2000 L yeast fermentation). A: The client needs to provide GenScript with the titer and generation of viral stock, MOI, cell density and cell volume for cell infection. We'll use the attached formula to calculate how much viral stock to add to obtain the inoculums required (ml). MOI is defined as the number of virus particles per cell. Usually the P1 and P2 viral stock is preferred, and the titer of viral stock should be more than 10^7 pfu/ml. Less than 100ml of the inoculums is usually fine. We also provide virus amplification service. A: The protein for crystallization should be homogeneous and have >90% purity. The purity of protein shall be checked by HPLC or MS before crystallization. DLS (dynamic light scattering) result is helpful but not required. The minimum amount is 10mg/ml * 300ul. A: The exact experimental strategy should be treated case by case, but both are fine with certain proteins. GenScript has success records in both cases. A: We can purify the protein from both fractions. It will depend on client's requirement or available protocol. Our scientists have very good experience in protein refolding. Selection of particular refolding strategy is based on proteins' sequences and their structural properties. Usually, the refolding service is free of charge. A: GenScript can perform affinity purification, ion exchange chromatography, hydrophobic chromatography and size exclusion chromatography. A: If customer provides the protocol, we can do that. A: The common tags to use are GST, MBP. Trx, TF, MBP, Nus, SUMO, Flag, Fc, and so on. GenScript scientists may recommend different tags for different proteins based on the protein's property and the customer's specific requirements. His tag, either alone or fused with other tags (e.g. His-GST, etc. ), is the most common one used for purification. A: GenScript can remove the tag after purification, in case of that the tag is added with protease cleavage site. For cost and timeline, please quote with our customer service representatives. A: For tag removal purposes, GenScript recommends Enterokinase, Thrombin, TEV protease, 3C protease (Precision Protease) or SUMO protease cleavage site between the tag and target protein. A: We recommend introducing the protease cleave site and the tag at the N-terminal. We do NOT recommend introducing protease cleavage site at the C-terminal, because it will leave extra 4-6 amino acids after protease cleavage of the C-terminal tag. A: N-terminal EK site and SUMO will not leave any residue. N-terminal TEV protease cleavage will leave one extra amino acid "G"; 3C protease (Precision protease) cleavage will leave two amino acids "G" and "P". How to determine the protein purity and quantity? A: Methods for purity determination: (a) SDS-PAGE determination; (b) HPLC determination; (c) Silver staining. Methods for protein concentration determination: (a) Branford protein assay; (b) BCA protein assay; (c) Intensity measurement on the SDS-PAGE gel with a BSA standard curve. A: We do not regularly test endotoxin level of the produced proteins. Upon customers' requests, we can detect and remove endotoxin in the protein product at additional fees. A: GenScript provides free SDS-PAGE and free Western blot using anti-His or anti-GST for tagged protein as QC. Customers can order additional QC results with HPLC, MS-ID, LC-MS/MS coverage and N-Terminal Sequencing at additional fees. A: Both P1 and P2 will be tested for the protein expression by Western blot using anti-His or anti-GST antibody or other antibodies, and the virus titer will be determined using qRT-PCR. The qRT-PCR and Western blot results will be delivered in the QC file. A: The temperature for shipping is 4 degree, and the storage buffer is Sf-900 II SFM and 2% FBS. For long term storage, the BV stock could be freezed in -80 degree. However, if you are storing your viral stock at -80 degree, viral titers can decrease as much as 10% with each freeze/thaw cycle. For routine use, baculoviral stocks should be aliquotted and stored at 4 degree and be protected from light. Baculovirus can be stored at 4 degree for at most 6 month. A: After an order is delivered, GenScript will keep the bacterial strain for protein production for 3 months, and the expression vectors related to E. coli, insect and yeast expression systems for >2 years. There is no additional fee for this service. However, if client did not request to preserve the plasmid for him/her, we may destroy the product without any obligation. A: Tris-HCl, pH 7.5-9.0 or PBS pH 7-8, containing 5-20% glycerol, 0-600mM NaCl and <0.4M L-Arg. To use the following reagents, we will communicate with the client: 5 mM DTT, 0.3% SKL, and 1% SDS. A: We ship in liquid form. A: Please aliquot the protein into separate vials and store at -80°C or liquid nitrogen for long-term storage. Avoid multiple frozen and thaws.